Dr. Suzanne Asherson is a pediatric occupational therapist with a Clinical Doctorate and Masters from the University of Southern California. She co-wrote the chapter “Evidence-Based Practice and Accountability” in the Guidelines for Occupational Therapy and Physical Therapy in the California Public Schools published by the California Department of Education and is SIPT certified (Sensory Integration and Praxis Tests). Suzanne has been prominently featured in the New York Times, Los Angeles Times and appears in on-air news segments around the country. 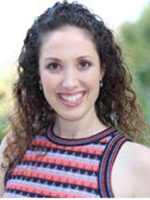 Suzanne spent eight years at the Beverly Hills Unified School District practicing as a school based OT, has been a National Presenter for Learning Without Tears since 2008 and currently has a private practice in Beverly Hills.